Have you ever seen a tiger? You only have to go to Skanderberg Square in Tirana, the biggest square of Albania. 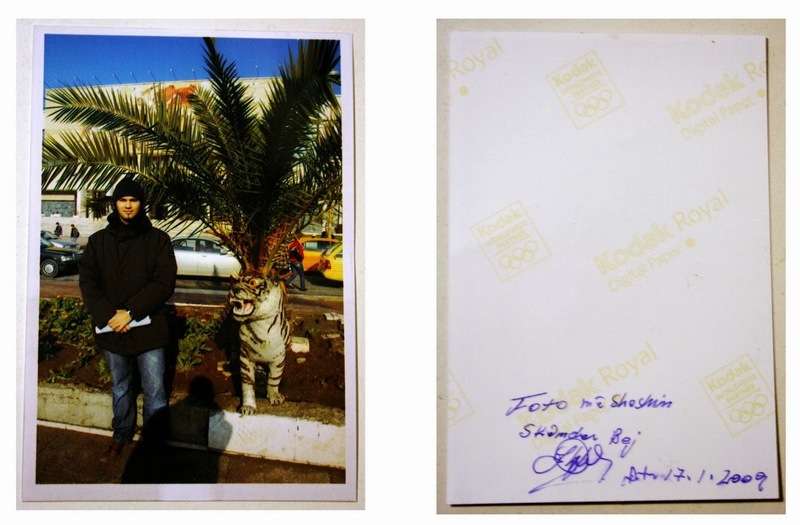 Here photographers wait for tourists in the middle of the square to offer them a photo souvenir, making them pose in their favourite spot: next to the tiger sculpture! 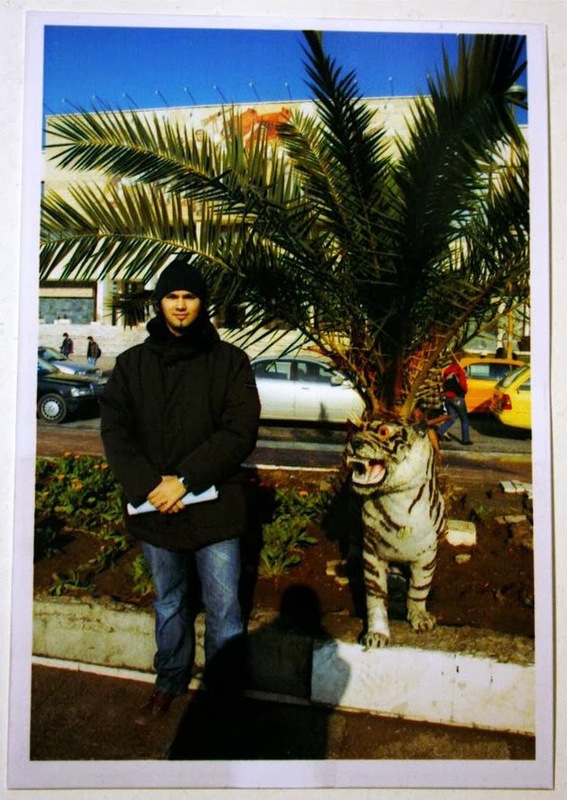 In this work Zeneli ironically chooses to pose next to the tiger and with the National History Museum as a background. The random position of the palm and the tiger, we recall the famous statue of the prize "Golden Lion" After his memento picture was taken, the artist asks the photographer to sign it, then using the photo as an artwork. 2009, photo printing, color, 12 x 18.